From the airport it is very easy and economical to get a cab at all hours. 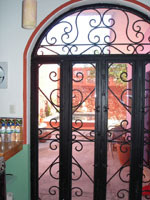 In the lobby there is an ATM for withdrawing pesos. Go out the entrance and walk straight about 30 feet. To your left there is a booth where you buy a ticket for the taxi. Tell them you are going to Sta. Ana in Centro. The ticket will cost around 200 pesos (approx US$11) per person. You can tip the driver directly. 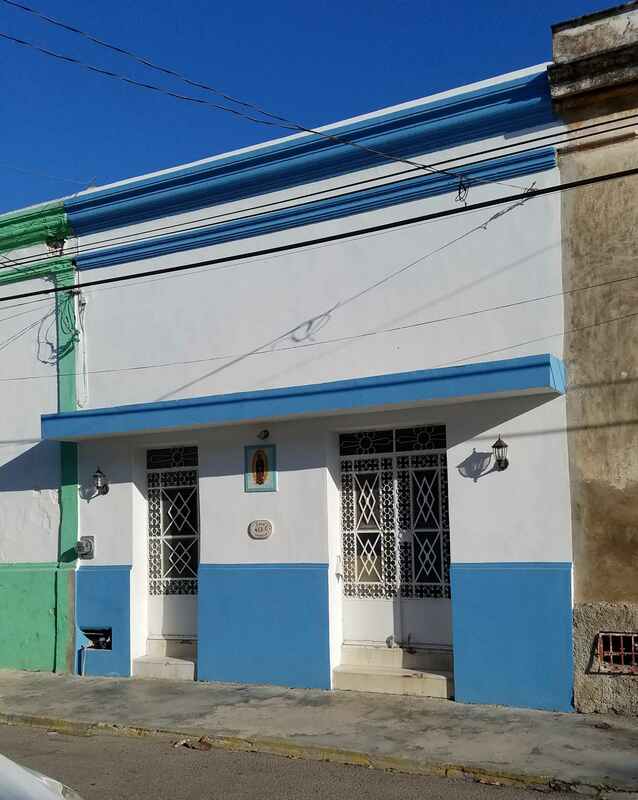 Explanation: Casa Guadalupe is located at 47th Street (calle 47) at #453-C "por 50 y 52" (between calles 50 and 52) - this is part of the address! - in the "Céntro Histórico" district - also part of the address! If you have Google Earth, click here to view Casa G from above! From Santa Ana (calle 47 x 60) it is 5 blocks east on 47, which runs west-to-east. 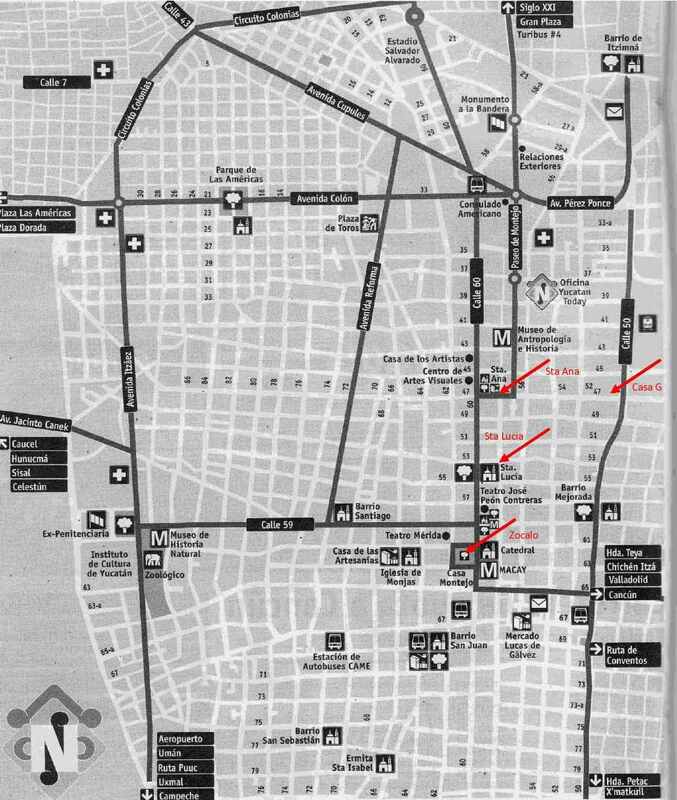 Mejorada (calle 50 x 57) is 5 blocks to the south on 50, which runs north-to-south. The city has named all corners in Centro with a unique name displayed on a ceramic plaque. The corner of calle 47 & 50 is "La Letra." Odd numbered streets run east-west or west-east (usually alternating) or both. The number increases going north. Even numbered streets run north-south or south-north (usually alternating) or both. The number increases going west. the other even numbered streets (50, 54, 58, etc.) run south.